The Staple System Awning offers flexibility in design and fabrication of interior and exterior awnings, canopies and back-lit signs. 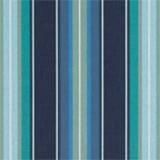 The frame material can be either aluminum or galvanized steel and utilizes the “staple-in” method of attaching fabric. With this system, fabric is taken directly from the roll and stapled into a channel which has been extruded into the tubing. A PVC or fabric covered PVC finishing trim is then inserted into the channel providing corrosion protection and aesthetic appeal. 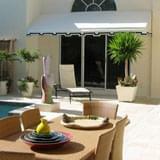 It is important to note that awnings manufactured utilizing the staple system may not be code friendly as the cover cannot be easily removed in the event of a hurricane or snow. 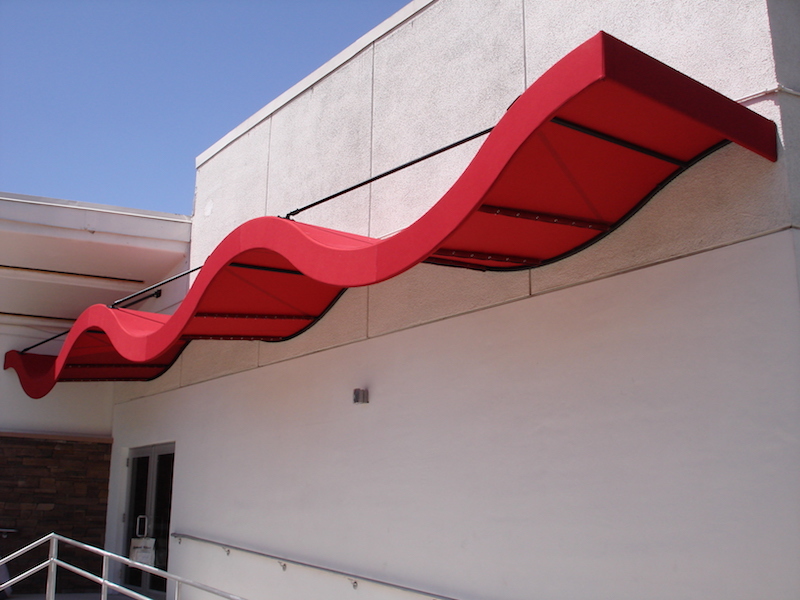 However, if properly engineered, staple system awnings can be manufactured to meet most engineering and code requirements. Staple system awnings are ideal for back-lit applications, which means that signage on the awning is displayed both during the day and night. This is accomplished by placing lighting inside the frame or behind the fabric. 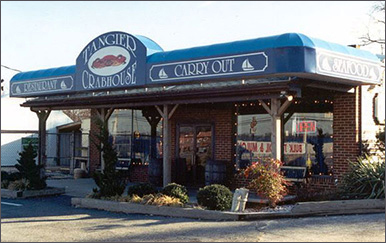 Back-lit awnings are specially designed so that the shadows of the framework do not impede light transmission through the signage area, thus, providing an attractive multi-color sign during the day and night while providing all weather protection year round. 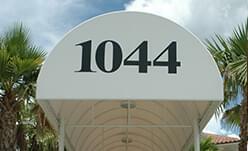 When paired with an attractive door and large storefront window, customers will be able to locate your business.